herewith you receive the December newsletter on events that cover research in ontology (conferences, workshops, etc.) or are associated with IAOA (e.g., meetings of Special Interest Groups (SIGs) and Committees). These newsletters shall inform you about upcoming events and their corresponding deadlines. They may also include short reports of interesting past events, for example, by IAOA members who attended them. The planned frequency of the newsletters ranges from monthly to bi-monthly. This service complements the calendars of events  and deadlines , which we run for gathering event information. Please notice that such calendars are now easily accessible from the right sidebar of the landing page of the IAOA website  and from the Events page . Should you be aware of events that you wish to be added to the calendar, you may write to . Before 2018 will come to an end, there are still two major “projects” concerning IAOA as an organization: (1) the full opening of membership registration and renewal and (2) the Election of the IAOA Executive Council (EC) for the two-year period of office of 2019-2020. We are happy to announce that the main steps for relocating IAOA to Switzerland have been taken and the IAOA website, relaunched in September 2018, has matured to a functional level over the last two months. Therefore, we cordially invite former members and everyone else with an interest in IAOA, who have not (re)joined the association during 2018, to register newly as a member of the association. Joining or renewing now will allow you to (re)gain access to the Member Area of the website and its benefits. Moreover, members have access to the [iaoa-member] mailing list and they can participate in the upcoming elections for the Executive Council, please see below. The navigation item Join IAOA allows you to join or renew. The membership period is no longer a calendar year, but is now determined individually. Based on the annual fee, membership lasts for one year, which starts from the date at which renewal/joining application is approved by IAOA. As indicated above, joining IAOA now means to join an international association legally domiciled in Bern, Switzerland, whereas previously IAOA was located in Trento, Italy. Please note: Basically all IAOA activities are now transferred to the new association in Switzerland, while IAOA in Italy will remain for administrative reasons for some more time. Anyone concerned about the governance of IAOA in Italy can request more information about the relation between the two associations as legal entities and can request to become also a member of the old association by writing to its new contact address: iaoa-italy <AT> iaoa.org. A Virtual Assembly will soon be open in order to select members for the Executive Council (EC) of IAOA (in Switzerland). All nine positions need to be newly elected within December 2018 for the period of office of 2019-2020. These elections follow the regulations in the IAOA Statute as of Jun 23, 2016. An Election Committee is in charge of supervising the election process, which comprises of Valter Cavecchia, Roberta Ferrario, Michael Gruninger, Nicola Guarino and Leo Obrst. More detailed documentation of the process and its development is available at the wiki page IAOA Executive Council Election 2018. In order to participate in the EC Election in any form, your IAOA membership must be up-to-date. If you have not renewed your membership during 2018, then your membership has elapsed, cf. above; please (re)join IAOA before making a nomination or otherwise participating in the election. For the next few weeks, we foresee three main phases: Candidature, Campaigning, and Elections. Key points are summarized below, whereas more details can be found at the election wiki page. At least two members (a proposer and at least one seconder, none of whom should be the nominee) are required in order to make a nomination. The members making the nomination shall ensure that they, as well as the nominee, are current members of the association, and that the nominee shall accept the nomination. The list of candidates and their position statements will be made available through the election wiki page. Nominations can be freely discussed on the [iaoa-member] mailing list from the nomination time on. Likewise, campaigning itself can start with the first candidate nomination. Once that the candidature phase is closed, there is still one week available for (further) active campaigning and discussion on the members’ mailing list. In this period all members will be asked to vote for candidates for nine Executive Council positions. 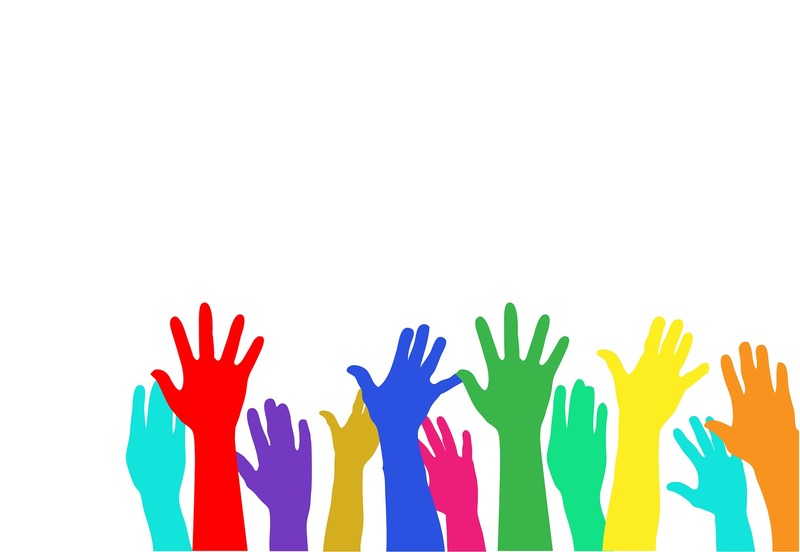 We kindly ask all members to participate in the vote (even in the case of abstention) – the more participants, the stronger the result of the election will be! Results will be announced to the [iaoa-member] mailing list and at the wiki page. All members should feel free to contact iaoa-election <AT> ovgu.de for any concerns regarding the 2018 EC election. with nominations for the 2018 EC Election. We will be very grateful for any efforts and contributions. 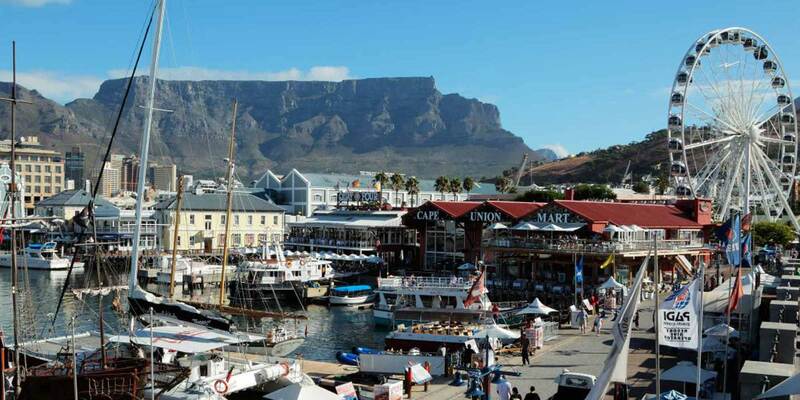 The 10th FOIS conference took place in Cape Town (South Africa) on Sept. 19-21 after the ISAO Summer school (Sept. 10-14) and two days of meetings of the JOWO workshops (Sept. 17-18). The conference ran nicely and, as usual in the past, sessions were consistently well attended with lively discussions at the end of the presentations. The papers, which were subdivided in three areas: (i) foundations, (ii) properties and agents, (iii) methods and tools, gave a snapshot of the interests and the challenges faced in the community. As usual in the recent FOIS editions, papers addressing modeling concerns did not attempt to introduce new foundational ontologies. Instead, they focused on comparison studies (e.g. time across ontologies) or frameworks for modeling specific notions that have not yet received much ontological attention (e.g. special types, metaphors, competition, spiritual beliefs, measure) or are still considered problematic (e.g. structural universals and states of affairs, dispositions, localities, nominal and actual qualities). This year particular attention has raised the contribution of papers with a focus on applications and integration: the discussion of localities was based on actual problems faced by historians; the modeling of agency was based on the merging of cognitive and ontological formal systems; the use of ontology-mediated data management was applied to the integration of Research & Innovation ecosystems; the use of data mining routines was exploited for understanding the structure of data in a Semantic Web perspective; and so on. Scientifically, the conference achieved its goals by fostering the interaction and by engaging live discussions across disciplines like computer science, philosophy, language and knowledge representation. The emphasis on application concerns that is a new turn in FOIS is shown by the participation of Pascal Hitzler as co-chair, the invited talk by Alessandro Oltramari and the assignment of the FOIS Best Paper Award to the paper “SAREF4health: IoT standard-based ontology-driven healthcare systems” (by J. Moreira, L. Ferreira Pires, M. van Sinderen and L. M. Daniele). It is the very first time that an application paper wins this award. Two other keynotes were given by Peter Simons, which addressed the notion of representation and the aboutness relation, and by Riichiro Mizoguchi, which presented a new ontological theory of causation. Finally, the Early Career Symposium allowed the students to discuss their PhD’s plans and goals with the FOIS participants with the advantage of collecting and comparing a variety of views as arising in the different disciplines present at FOIS. The keynote presentations are accessible (for a limited time) from the FOIS 2018 website. and the FOIS 2018 proceedings in the IOS Press online access page in the member’s area. The Program Chairs, Stefano Borgo and Pascal Hitzler. herewith you receive the November newsletter on events that cover research in ontology (conferences, workshops, etc.) or are associated with IAOA (e.g., meetings of Special Interest Groups (SIGs) and Committees). These newsletters shall inform you about upcoming events and their corresponding deadlines. They may also include short reports of interesting past events, for example, by IAOA members who attended them. The planned frequency of the newsletters ranges from monthly to bi-monthly. This service complements the calendars of events  and deadlines , which we run for gathering event information. Please notice that such calendars are now easily accessible from the right sidebar of the landing page of the IAOA website  and from the Events page . herewith you receive the October newsletter on events that cover research in ontology (conferences, workshops, etc.) or are associated with IAOA (e.g., meetings of Special Interest Groups (SIGs) and Committees). These newsletters shall inform you about upcoming events and their corresponding deadlines. They may also include short reports of interesting past events, for example, by IAOA members who attended them. The planned frequency of the newsletters ranges from monthly to bi-monthly. This service complements the calendars of events  and deadlines , which we run for gathering event information. Please notice that such calendars are now easily accessible from the right sidebar of the landing page of the IAOA website  and from the Events page . Welcome to the IAOA website, relaunched in early September 2018. Besides our hope that the relaunch is beneficial for all users of the site, another major good news for everyone interested in being or becoming a member of IAOA is that we are gradually reopening membership renewal during September and October … eventually! More details on the reopening can be found at the page Join IAOA. The relaunch is further a good opportunity to highlight the major 2018 events organized by IAOA as well as to reflect on IAOA’s activities in the previous year. Indeed, IAOA’s two major 2018 events are most topical during September 2018. The Tenth International Conference on Formal Ontology in Information Systems, FOIS 2018, will be held in Cape Town, South Africa, on September 17-21, 2018. Oliver Kutz (General Chair) together with Stefano Borgo and Pascal Hitzler (Programme Chairs), as well as Maria Keet (Local Chair), are crafting an amazing conference that will showcase the latest research in applied ontology. In addition to the main track, FOIS hosts five workshops and two tutorials as the Joint Ontology Workshops, JOWO 2018, as well as an Early Career Symposium. It further includes an Assembly of the membership, accessible locally and virtually and open to everyone interested. For up-to-date information, please visit the FOIS 2018 website. 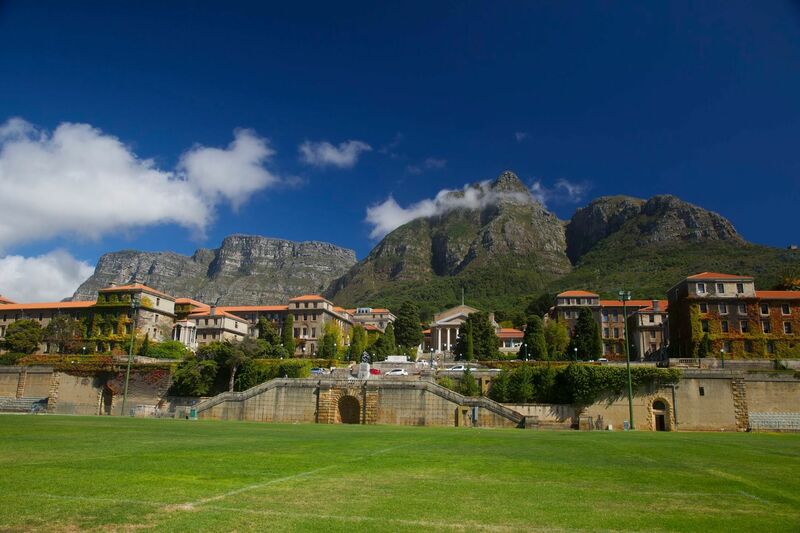 Moreover, the Fourth Interdisciplinary School on Applied Ontology, ISAO 2018, will be co-located with FOIS in Cape Town and precedes the conference between September 10-15, 2018. Aldo Gangemi (General Chair) and Antony Galton (Programme Chair) as well as Maria Keet (Local Chair) have worked together to organize an educational event of high quality. Peter Simons, Stefano Borgo, and Stefan Schulz are among the instructors who will facilitate a full immersion experience in ontology, as one can see from the programme of the school. Between January and April 2018 IAOA was again a co-organizer of the Ontology Summit, as in previous years. For 2018 the theme “Contexts in Context” was selected, covering such topics as Upper Ontologies for Specifying Context, Contexts in the Open Knowledge Network, and Contexts for Integration and Interoperability. The 2018 Ontology Summit Communique has recently been published in Applied Ontology. Likewise and thereby turning to the beginning of 2017, IAOA was one of the co-organizers of the Ontology Summit 2017, which addressed the theme “AI, Learning, Reasoning, and Ontologies”. It explored the various connections between these areas, with conclusions presented in the 2017 Communique. The Fourth IAOA Summer Institute was held during August 8-11, 2017 at the University of Toronto, Canada. The topic of the Summer Institute was “Upper Ontologies”, with Stefano Borgo, Michael Gruninger, Nicola Guarino, and Barry Smith as facilitators. Over thirty-two participants brainstormed and debated issues arising from the conceptual underpinnings and application of upper ontologies. The post-proceedings of JOWO 2017 include 69 contributions and were published in January 2018 as volume 2050 of CEUR Workshop Proceedings. Special thanks to the JOWO 2017 chairs — Stefano Borgo, Oliver Kutz, Frank Loebe, and Fabian Neuhaus — for planning and executing amazing and memorable three days! All efforts are made to allow for a similar success of our flagship events in September 2018. Moreover, there is an active agenda for the remainder of the year in administrative terms, among other items including the further settling of IAOA in its still new location Switzerland, rounding off website refurbishment and not at least running another, virtual Assembly for electing members for the Executive Council in November. We look forward to the continuing support of our longstanding as well as novel members in all endeavours of IAOA. Moreover, we invite everyone interested to participate in ISAO, FOIS or any future events of the Association – it would be a great pleasure to meet you there! herewith you receive the August newsletter on events that cover research in ontology (conferences, workshops, etc.) or are associated with IAOA (e.g., meetings of Special Interest Groups (SIGs) and Committees). These newsletters shall inform you about upcoming events and their corresponding deadlines. They may also include short reports of interesting past events, for example, by IAOA members who attended them. The planned frequency of the newsletters ranges from monthly to bi-monthly. This service complements the calendars of events  and deadlines , which we run for gathering event information. herewith you receive the June newsletter on events that cover research in ontology (conferences, workshops, etc.) or are associated with IAOA (e.g., meetings of Special Interest Groups (SIGs) and Committees). These newsletters shall inform you about upcoming events and their corresponding deadlines. They may also include short reports of interesting past events, for example, by IAOA members who attended them. The planned frequency of the newsletters ranges from monthly to bi-monthly. This service complements the calendars of events  and deadlines , which we run for gathering event information. FOIS is preceded by the 4th Interdisciplinary School on Applied Ontology (ISAO).